Groundbreaking ceremonies took place in Three Lakes Tuesday at the Demmer Memorial Library. It was eight years in the making but the major renovation of the Demmer Memorial Library in Three Lakes formally got underway on Tuesday with a groundbreaking ceremony in front of the legacy structure. A dozen dignitaries associated with the project over the past decade donned hard hats and hefted shovels to indicate a newly reconstructed library was on the way. In fact, work has been ongoing for some weeks now. Library Director Erica Brewster explains. "...the interior demolition is actually ahead of schedule. They took advantage of our snowy April and they managed to finish everything in the interior demolition..."
A group of around fifty assembled at 11:00 am to hear remarks from a variety of speakers including library foundation board members, the architectural firm that designed the renovation, the general contractor for construction, and others who had worked for years to make the project a reality. "....we're getting close. We cannot wait until the ribbon cutting. The groundwork as been laid, we got the shovel in the ground and we're thrilled, I would say..."
Over the summer and fall, library services are still fully functional, operating from a temporary storefront on Superior Street and with the main library staff working from the Three Lakes School. Construction is on schedule with ribbon cutting still set for December. Another Northwoods library is in the process of renovation. 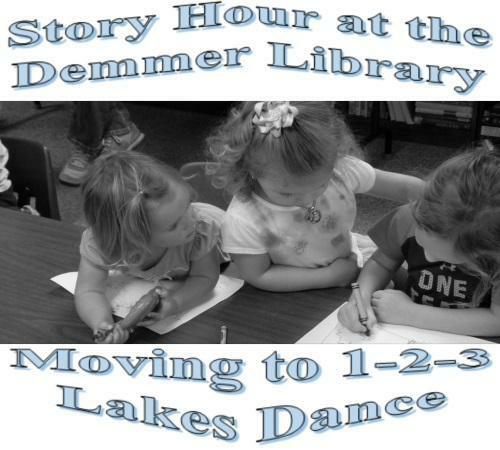 Construction at the Demmer Memorial Library in Three Lakes beginning this spring. "....we have received low bids for our project. We've received a low bid awarded to Green Fire Management, LLC and we're working on a contract beginning April 1...."